Our Approach maximizes the use of "Knowledge Economics"
Requejo Consulting specializes in international work. It's primary focus is international expansion, strategic alliances, joint ventures, and advanced negotiations. We do this in a non-typical manner. Requejo engages and interacts with clients from the research, information gathering stage to its implementation. It accomplishes this by providing valuable information for critical decision-making, by designing international expansion plans and by assisting in the creation and development of the international team. In this regard, Requejo becomes an immediate outsourced international capability for the client. Although Requejo has a proven track record throughout the world, it specializes in Western Europe and Latin America. Over the past two decades, many of Requejo's clients have developed strategies and operations in Spain, Mexico, Brazil, Costa Rica, Peru, Chile and Argentina. Requejo also interfaces with senior management as it seeks to "internationalize" and it's corporate culture. 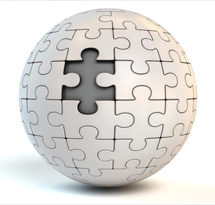 Many small to medium sized firms recognize the need to compete on the global stage. They understand that globalization is a reality that must be addressed. Requejo also serves their needs by creating customized in-house programs to meet those objectives.